Electric bikes have become more popular than ever in the last decade. Nearly every category of bicycle now has an electric version available – from road bikes to mountain bikes, folding bikes to cargo bikes. These battery-operated cycles are perfect for transportation by making hills easier to climb and long distances seem shorter. They are also just plain fun to ride. There are a few different classes of e-bikes with varying motor systems and batteries. To shop our selection of e-bikes, click here! The first and most popular type of electric bike is pedal assist. A motor gives power to the rear wheel to provide assistance to the rider while pedaling. This makes pedaling your bike much easier and faster, especially when climbing steep hills. There may be different settings which will control the amount of assistance to the rider. 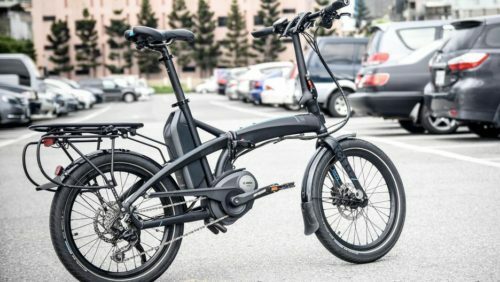 To be considered a Class 1 e-bike, the speed is limited to 20 mph. and do not require any special licensing. A throttle e-bike will mobilize the bike forward without needing pedaling from the rider, similar to a motorcycle or scooter. This type of bike can provide a different amount of power depending on how far the throttle is pushed. These bikes are not as popular as pedal assist, because some countries have laws that prohibit their use (though not the US). 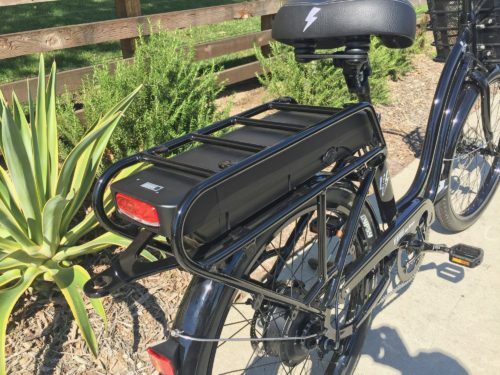 This type of e-bike is mechanically the same as the regular pedal assist, but they allow for a higher top speed of 28 mph. Sometimes, this can mean these e-bikes are considered motor vehicles and require riders to be licensed. Front Hub Motor: This is the simplest e-bike motor, and is the most limited in capability. Mostly used with throttle systems, it is harder to provide assistance based on rider input when the motor is not part of the drivetrain. 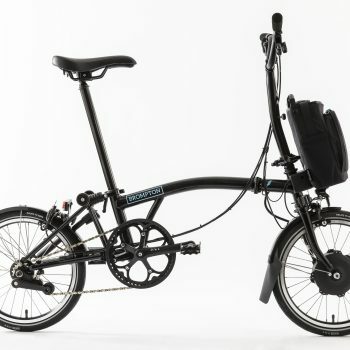 An exception is the Brompton electric bike, which has a front hub motor but is pedal assist. The front hub motor system is most often found on inexpensive conversion kits, because it can easily be added to almost any bike. Rear Hub Motor: As the name suggests, this hub attaches to the rear bike wheel. The rear hub motor can be used on throttle and pedal assist type bikes. 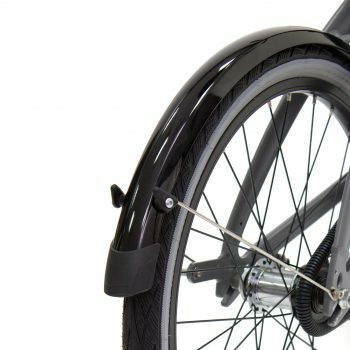 They are a popular choice for electric conversions because they can be retro-fitted onto non-folding bike frames and appear much like an oversized traditional bike hub. Some brands of rear hub motors are BionX, Stromer, Xion, Dapu, and BaFang. Mid-Drive Motor: A mid-drive motor is located in the center of the bike frame and is integrated with the bottom bracket and cranks. The motor drives the crank arms instead of the wheel. This type of motor is only used with pedal assist bikes, because it’s activated by pedaling. The mid-drive design has more torque than a hub system, and distributes weight evenly on the bike, and a torque sensor can measure the amount of input from the rider. This sensor varies assistance to match the the rider’s pedaling which creates a more fluid experience. Popular mid-drive systems include Bosch, Brose, Shimano Steps, Yamaha, and BaFang. Rack Mount Battery: These batteries are mounted on a rack on the rear of the bike. The rack can also hold panniers and cargo as usual. The battery is usually located above the rear wheel which places the weight high off the ground. It’s an all-around functional mounting system, which makes it easy to mount a battery on nearly any bike design. Down Tube Battery: The most popular location for a battery is on the down tube. This puts the weight of the battery low on the bike, improving handling. This makes wiring easy with a mid-drive motor, because the motor is located directly behind the battery. This type of battery can be integrated on several different tube sizes.